Global expert on self-leadership Andrew Bryant says making a difference and contributing to something meaningful will spare you of painful regrets. Do you ever fear that you won’t do enough in life? Direct that fear to reach your goals, whatever they might be. Andrew Bryant is a global expert on self-leadership and leading culture. He credits his great success to his never-ending passion that made him stronger. This attitude makes the difference between passionate successful people and the ones who never fulfill their dreams. What category do you want to be in? ‘We’re going to be dust’. The self-leadership expert tells the harsh truth that most choose to ignore. There is no time to wait. Let yourself driven by passion to avoid facing regrets later in life. Embrace change to help yourself and others along the way. Not sure where to start? Redefine yourself. Don’t forget to share it with your friends and spread the passion. Moustafa: Hello everyone and welcome back to Passion Sundays – the best way to end a week and start another! Our guest today is a leadership expert and he’s the bestselling author on self-leadership – Andrew Bryant! Andrew, thank you very much for being with us today. Moustafa: I love your take about self-leadership because that’s a rather inside than outside thing. Moustafa: Let’s start with passion. What does passion mean to you? Andrew: Well, passion for me, of course, is the drive to get what we have inside onto the outside. So, you know the origin of the word ‘passion’ is what drives us is that frustration that we need to change something. The world needs to be better or you need to touch people’s lives. If you don’t have that tension between where you are and what you think the possibility is, I don’t think the passion is there. The passion is: I see a possibility for change, I want to make that change, I’m going to be part of that change. Moustafa: Beautiful! So what differentiates a leader from a passionate leader? Andrew: It’s a great question. I think to be an effective leader you must have a passion. So I’m not sure there is a distinction between. You can be a leader by title but a passionate leader is someone who has become so intentional. They said ‘I am leading because I have a cause. I’m leading because I see further than the people I need to follow’. If we know the path, we don’t need a leader, we just so ourselves. If we are controlling people around the path, we need a manager. We need a leader because they can see further or they’ve traveled that path before and they want to take us on that journey. So if someone is taking you on a journey and they have no reason to go to the end – no passion. That leader says ‘I know where you can go, I know you could be better than you are. I know that we as an organization could do so much more with that company’, then I think you get a passionate leader. Moustafa: I love that! So, definitely one of the things that makes a passionate leader in my opinion is starting from the inside and this is purely your area of expertise – self-leadership. Moustafa: Explain to me why. Andrew: Well, the definition that myself and my coauthor from the 2012 self-leadership book, dr. Ana Kazan, we articulated self-leadership as the practice of intentionally influencing your thinking, feeling and actions towards your objectives. So it’s intentional influence of self first. When we are intentional about our influence, we become impactful because when we’re intentional, we attract. When we’re influential, we attract people and therefore we get the impact. And of course the world measures the impact that we do. The inner game of self-leadership has three assets: self-awareness (I know who I am, my strengths, my weaknesses, my areas of development), self-confidence (I know my skills, my strengths) and self-efficacy (my belief that I can overcome challenges, take the feedback, adjust and do it again). So self-efficacy is not ‘I can do it’ but it’s ‘I can learn how to do it’. Moustafa: I love that! And I love the intentional part because a lot of people are what I call an ‘accidental hero’. They might have found themselves in a position, they got somewhere, but they never last and they start dragging themselves out. So how does a leader – and everyone is a leader in life – find passion when times are tough? It’s easy to lead when things are going well because there is momentum driving you but when the sea is getting up and down that you find if you know what you’re doing. Andrew: Well, paradoxically, actually I think it’s easier. I never wish adversity upon anybody. But neither do I wish not to have adversity. Because often is when life throws us a curve ball, we’ve lost everything, lost a job, lost a business, lost somebody we love that everything gets stripped away and we really get to examine ourselves. Some people go to pieces, some people go to their core and go ‘Ok, this stuff didn’t really matter. This is what’s really important to me. That’s happened to me at least twice in my life when I’ve been financially stripped of everything, I went from very wealthy to absolutely nothing and one in relationship when everything was taken away from me. In both those scenarios, after the initial shock and sucking of thumb and wanting to crawl under the covers and hide in a cave, you reach deep and go ‘I have a reason to live and therefore I have to work on myself to come out of this’ and each time I came back, I came back stronger, more intentional and able to help more people. Moustafa: I like that, I like that. So if you would summarize the whole experience of passionate self-leadership in one advice to people, what would you tell them to do? Andrew: I think if we realize… I would go to the cemetery, I would realize that we only have a short time on this planet. If you want to be passionate… We’re going to be dust, we’re going to be worm food so soon… What do you want to be remember for? What are your grandchildren going to talk about you? Have something! Because if you stand for nothing, you fall for everything. I think money, health, is all gonna go. But if you make a difference in people’s lives, if you created something that changes people’s lives, if you contributed to an organization or team, if you educated people, then your life means something and when you look back in the end you will regret nothing. And my biggest fear in the end of my life is to go ‘I didn’t do enough’. And that is the pain that drives my passion to do more. Moustafa: I love that! Do more and there is a lot of learnings here! I hope everyone will apply this. Andrew, thank you very much! This has been awesome! Moustafa: What do you think? I hope you found this as useful and as exciting as I did. If so, leave your comments on the blog below and do share it with somebody who will find it useful. And if you’d like more tools, tips, techniques and exclusive interviews that I only share on my website – then go to Moustafa.com. 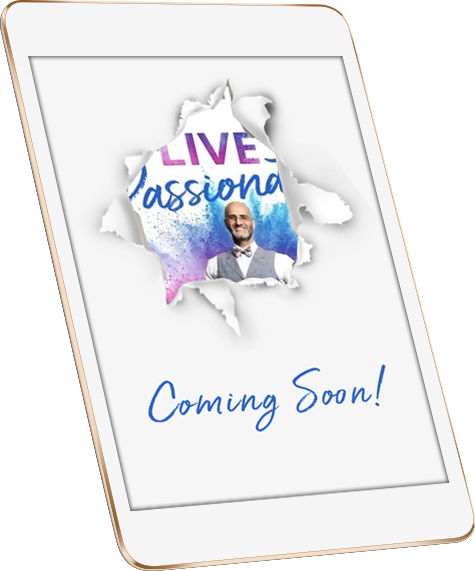 Until next episode – live passionately!